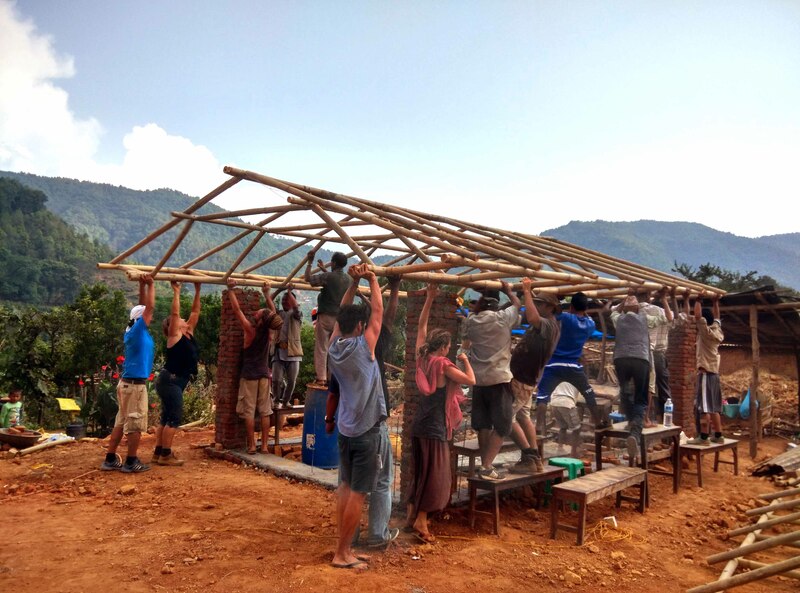 In June, after the traumatic earthquake in Nepal, Joao Boto Caeiro of RootStudio, in association with Maria da Paz, went to Nepal to design a house and provide assistance in the building of 2 prototype houses with brick and bamboo. These structures are designed to be built rapidly to provide basic sheltering needs and then go on to be improved and adapted over time. The built prototypes and the building techniques are meant to then be repeated by the locals and the foreign volunteers that have been arriving to these parts. The structure is comprised of a four column base made out of brick that supports a bamboo truss responsible for the roof. The bamboo structure is covered with rows of reed and then zinc sheets. The brick used, both for the columns and the floor lining are the salvaged remains of the destructed buildings in the area. The bamboo is also locally sourced and immunized on the spot. 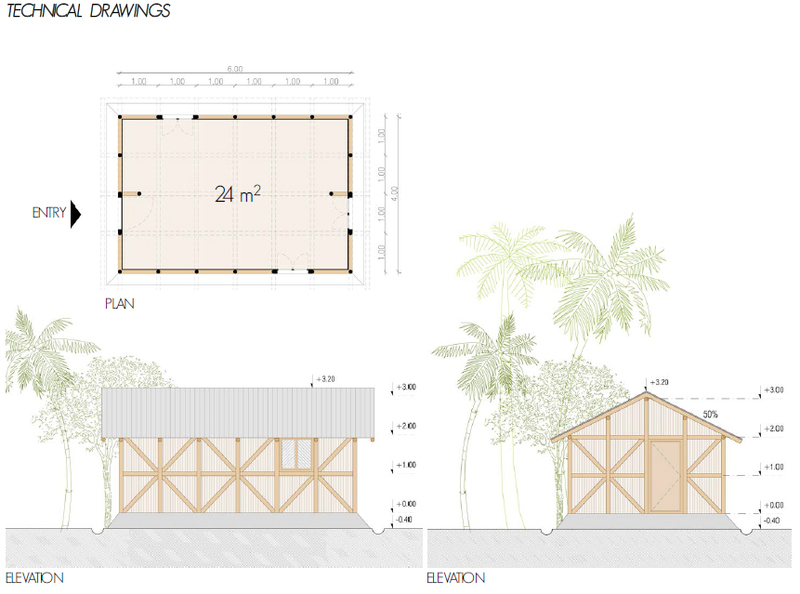 The continuity of this project lies in the transmission of the building process through example. 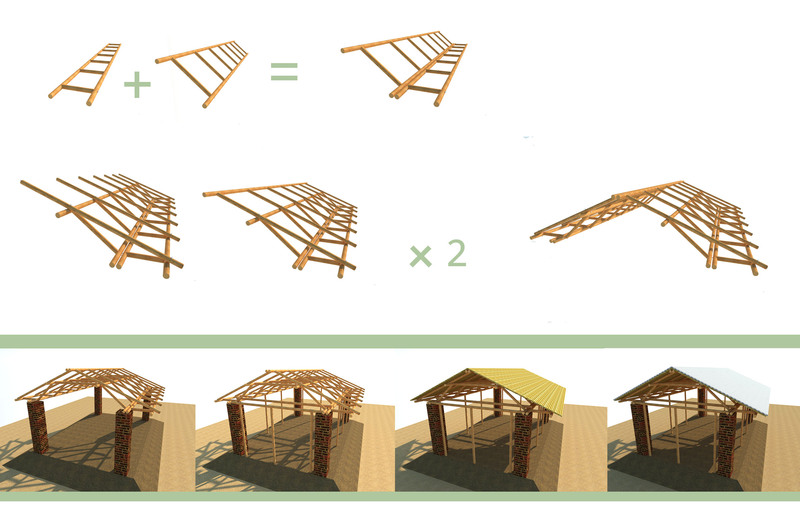 The bamboo structure can be adapted, enlarged or even be built on a larger scale due the introduction of the basic bamboo connections. Future projects can be based on these principles and expand on them providing the tools for further accomplishments.